Gabriele is a Professorial Fellow, and she is the Director of the International CEO Forum. She is expert at the State and Commonwealth Government, OECD, UNCTAD and JETRO (IDE) on international trade & investment flows. In particular, her in- depth expertise focuses on regional market integration, free trade agreements and shifts in market access for multinationals. Gabriele has served as Director International Relations at the University of Melbourne (University wide), Professor, and prior, as Professor of International Business at SKEMA Business School and as visiting fellow or expert at other leading business schools including the Australian National University (ANU/ANUCES), Aalto University, ESCP Europe, GGS and other leading universities and business schools. Gabriele's works have been presented at venues reaching from Harvard Kennedy School to the United States Congress, UNCTAD, OECD, WEF and the European Commission. She has a longstanding success record in advising government, and industry, from multinationals (in particular, in the IT, automobile and engineering sectors) to SMEs. 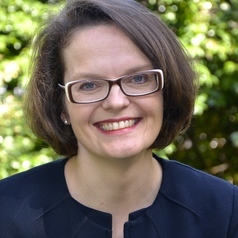 Her worldwide expertise provides particular value to inform local and regional policy and strategy, and is well embedded in the Australian perspective. Gabriele is author and co-author of eleven international business books, with several book awards. She is also author of award-winning scholarly research and case studies, and communicates regularly in media and research articles. Her current main research interests focus on the Australian perspective on internationalisation, regionalisation/market integration impacts on corporate location strategy, and the impact of uncertainty and transition on Global Value Chain participation. Interviews with Gabriele can be accessed internationally via Le Figaro, Business Week, The Japan Times, EurActiv, The Hindu, and she speaks at live TV politics debates such as "Ce Soir ou jamais" (France 3), and nationally on ABC News 24, SkyNews, SBS, The Age, The Australian, The Conversation, and more. Gabriele is also known for her cutting-edge research into the impact of terrorism in Europe, the USA, Australia and Afghanistan.